As one of the top-rated tourist destinations in the country, it makes sense that Virginia Beach VA is the largest city in the state of Virginia. The city boasts miles of pristine sandy retreats and is home to the world’s longest pleasure beach. Part of the Virginia Beach‘s appeal is its incredible location bordering the Chesapeake Bay and Atlantic Ocean. Fishermen can appreciate calmer riverside beaches while surfers prefer the crashing Atlantic waves, especially during the annual East Coast Surfing Championships. Although the region’s climate is mild year-round, families can venture to Virginia Beach‘s Ocean Breeze Waterpark during the summer months to enjoy towering water slides and a million gallon wave pool. Other seasonal events include the Virginia Aquarium and Marine Science Center’s dolphin boat cruises, winter wildlife expeditions, and cruises along local creeks. Virginia Beach has much more to offer than glistening coastline and close encounters with nature. The area has a long, rich historical character. Even before John Smith’s first steps along VA. Beach’s unspoiled shores, Native Americans recognized the value of its coastal location. As a beacon for ships sailing the area, Cape Henry Lighthouse gives visitors an opportunity to tour the nation’s first government constructed lighthouse. From the top, stunning views of Chesapeake Bay, Fort Story, and miles of lush greenery make the climb priceless. Located along the city’s famed three mile boardwalk, the Old Coast Guard Station Museum gives visitors another chance to explore Virginia Beach’s history. Learn of the Coast Guard’s vital importance throughout the centuries, and hear stories of haunted shipwrecks from an expert on the subject. Residents can enjoy the special events and programs offered for those of all ages throughout the year. After getting your fill of historic lore, venture along the boardwalk to experience any number of festivities, from concerts to pirate parties. The boardwalk area also offers a variety of dining options and quaint seaside boutiques. The spirit of Virginia Beach is lively and exciting, but residents have the unique opportunity to enjoy their favorite activities and return home to their very own residential oasis. Virginia Beach is home to over 437,000 residents, so naturally Virginia Beach VA homes are located throughout a number of diverse neighborhoods and communities. Median Virginia Beach real estate prices are around $227,000, but single-family Virginia Beach homes can be found for well under $100,000, depending on condition and location. Virginia Beach Condos, townhomes, and apartment units are also popular, and are often constructed as high-rises with panoramic views of the bay or ocean. Because of their availability, some units can be found at incredible values of around $50,000 and sporting views for miles. Higher-end Virginia Beach Luxury Condos include fully-updated interiors and stainless steel appliances for upwards of $300,000 for those with spacious floor plans. 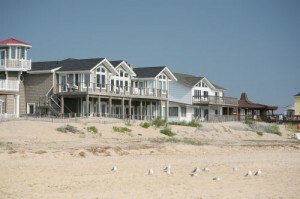 Opportunities for Virginia Beach waterfront homes are plentiful, and include pricey oceanfront estates in the millions. More modest options can be found at around $150,000 for a single-family Virginia Beach home with an obstructed view of babbling creeks or hidden bays located just across the street or right down the road. Golf lovers are sure to thrive in almost any neighborhood of Virginia Beach, taking their pick from hundreds of local golf holes. However, the Bay Colony neighborhood features easy access to the Princess Anne Country Club, which feels almost a part of the neighborhood. Here, wooded homes start at around $500,000 and offer tremendous privacy and breathtaking neighborhood lawns. Beach bums are sure to enjoy a home in the Shadowlawn neighborhood, and can take advantage of beachside bungalow living or spacious multi-bedroom condominiums. 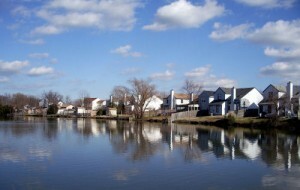 The Kempsville area is a good choice for first-time buyers, and features homes starting at $100,000. Affordable price tags are frequently found for constructions dating back to the 1950′s and 1960′s, and can be easily updated with only a few finishing touches. With its incredible military concentration, Virginia Beach and the surrounding Hampton Roads region is known for welcoming and accommodating soldiers and their families. Still, relocating is often a difficult process. Let Stone Realty help by making your transition a bit easier. Residents of the Beach are happy to spend their entire lives here. The city offers a blend of cultural experiences with relaxing and rejuvenating vacation lifestyles. Whether you’re interested in teeing-off year-round or reeling in the “big one,” each day is a new opportunity to take advantage of all Virginia Beach has to offer. As the real estate market increases and rates remain low, it’s assuredly a buyer’s market. Now’s the time to take advantage of a once in a lifetime opportunity to purchase your dream home in Virginia Beach. 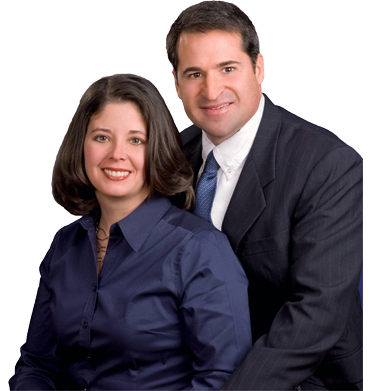 Kim & Dave Stone of the Stone Team are local Virginia Beach realtors dedicated to helping you find the perfect Virginia Beach property. From location to budget specifications, their knowledge of Virginia Beach VA homes can help you find your perfect match. With an established sales history in the Virginia Beach area, you can trust the Stone Team’s tremendous negotiation skills to help you obtain the best value available. As providers of excellent customer service, you can also be sure your Virginia Beach VA homes search is as stress-free as your new lifestyle! Get started today by searching for available properties at the top of the page, or contact us directly at (757) 565-1043. Call Kim and Dave Stone 757-565-1043 the leading Virginia REALTOR Team for all Virginia Beach MLS Listings and free advise in your home purchase.